Special Edition: Women’s self defense. Why do we fight? What is it that compels the Jiujiteiro to press on and continue to train, day-in and day-out, with little to no return? This year, I’ll be interviewing members of the GB Montreal family to try and get to know them better and gain insight into their jiu-jitsu journey. We are an eclectic bunch with diverse backgrounds. One thing binds us together on the mats though; we train, we persevere, we fight. In the recent wake of some of the “me too” movement gaining ground in the media over the past year, the reality of cases of sexual and physical assault cases against women has finally garnered the media attention and awareness it deserves. In Canada, a recent report stated that there are 22 cases of sexual assault for every 1000 Canadians, and that women and youth are at the greatest risk1. Although we do live in one of the safest and most gender-equal times2, there is still much to be done to ensure the safety of all individuals but especially those at greatest risk. 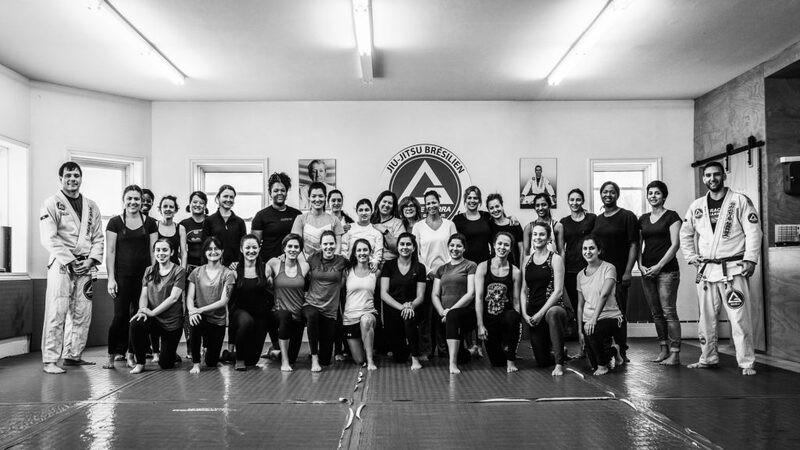 At the end of March, Gracie Barra Montreal held a free Women’s self-defence workshop. 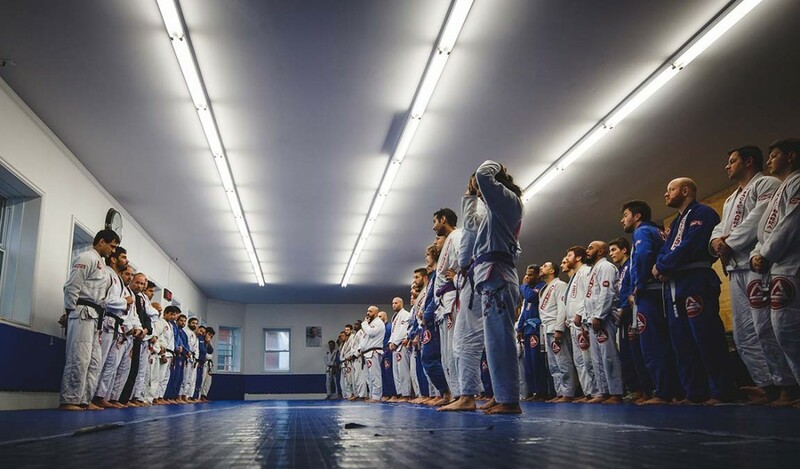 The event was lead by Bruno Fernandes and assisted by Sargon Tabbakh, and was attended by about 30 women of different ages, backgrounds and experience levels (most were completely new to Brazilian jiu-jitsu). The first thing I’d like to say about this event is that is was such a great success; not only did we have a full-house, but the women who attended had an amazing time all the while learning simple and effective ways of avoiding or getting out of uncomfortable and potentially dangerous situations. Bruno went over some common scenarios where redirecting and avoiding uncomfortable situations are warranted, but crucially explained what to do and how to deal with more dangerous and escalated situations. What I found so interesting about the event, is that rather than just show some techniques which can be effective when someone grabs your arm, or grabs you from behind, Bruno also covered simple concepts and ‘first principles’ of fighting (e.g. what is an underhook, and why it is so important). As someone who has done both striking and grappling arts, I take for granted how important these concepts are for the unindoctrinated. What’s more, I could tell these women genuinely understood and appreciated these concepts. The thing I heard most of the crowd was “Oh that makes so much sense”, or “Wow, that actually worked!”. 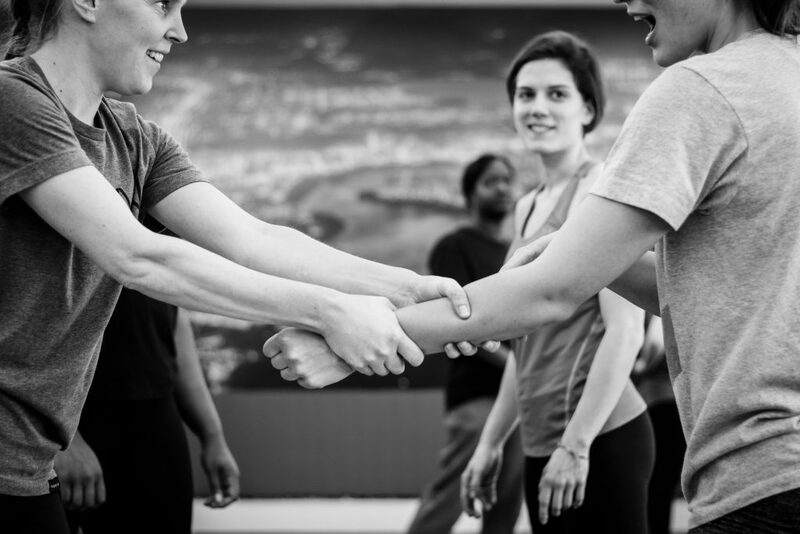 The class was a safe environment for women to learn how to get out of some dangerous situations, and although very useful, the reality is 1 self-defence class, no matter how enlightening, is just not enough. As many practitioners of martial arts already know, drilling and live sparring are truly the only real ways to improve and make techniques second nature. That said, these kinds of events are excellent ways of showing the community just how safe and useful martial arts can be. Although I am currently a Brazilian jiu-jitsu practitioner (and I think it is one of the most effective martial arts for self-defence), I believe that any martial art that focuses on simple and effective techniques and the importance of live sparring is better than no martial arts training. Do your daughters, sisters, mothers and (girl)friends a favour: invite them to a martial arts class. Help empower them and show them how strong and confident they should be. If you’d like to learn more about self-defence and Brazilian jiu-jitsu, call any one of the 6 Gracie Barra locations in the Greater Montreal Area and schedule a free class. If not with us, search for other well-known schools in the area that teach MMA, Wrestling, Judo or Jiu-jitsu; in my opinion, these are the most effective types of training that focus on leverage and body positioning to stop or subdue an opponent or attacker.